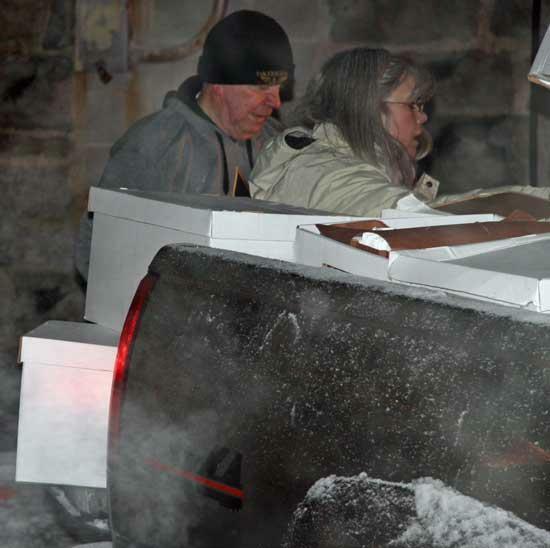 Woodbury Mayor Harold Patrick and Cannon Courier Advertising Director Teresa Stoetzel load boxes of items from Judge Susan Melton's law firm into a truck Thursday night. The fire was still smoldering late into the evening. Joe's Place restaurant on Tatum Street was also cleared of much of its furniture, and it is not known if it will be open Friday.